The nicest cliff views of Carroll Canyon. 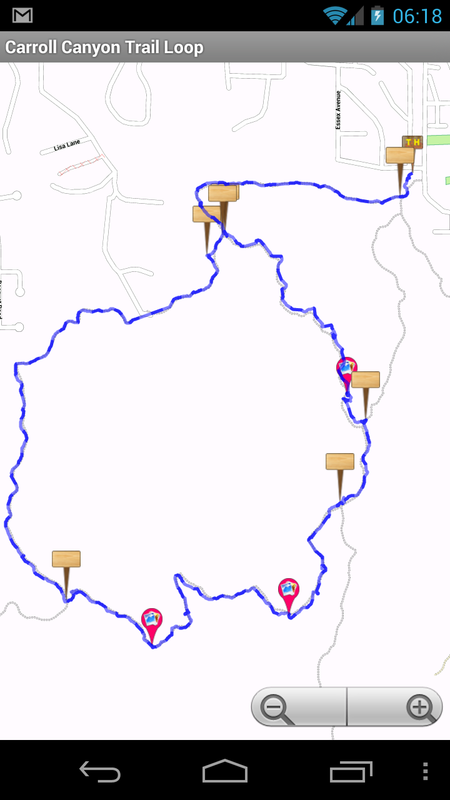 This trail shares a trailhead area with Table Top, Old Post, Ridge and Bandit trails. Approx 150 foot elevation change.